It seems fitting that Art on Main would feature chocolates, jewelry and art in February. The Carmel gallery will feature chocolatier and Indiana Artisan Julie Bolejack. 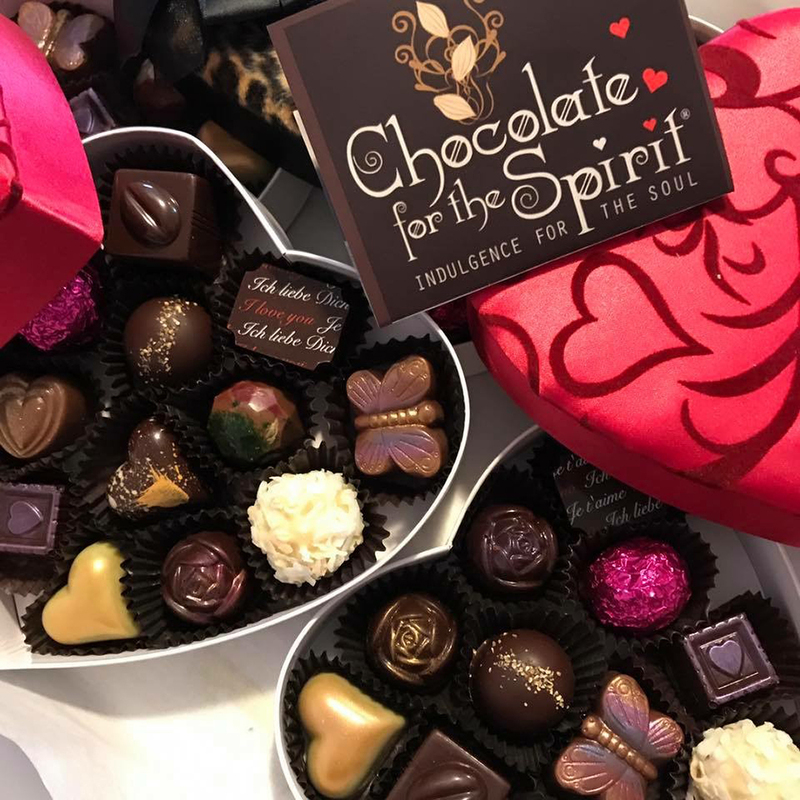 She was featured in the 2018 Forbes Magazine gift guide for having among the best artisan chocolates. Bolejack, from Shelbyville, previously had a Chocolate for the Spirit store in Carmel. Indiana Artisan jewelry artist Pam Hurst’s work will be featured as well. Hurst’s jewelry is sterling silver necklaces, bracelets, rings and earrings. “Chocolate, jewelry and fine art, it does not get much better than that,” said Kim Greene, one of Art on Main partners. Artwork by students of two other Art on Main partners, Randall Scott Harden and Nancy Keating, will be on display in February. Greene and Keating live in Carmel. Harden lives in Noblesville. Harden’s four adult students will display their pieces. Keating teaches an introductory class at Soho Cafe and Gallery and advanced classes at her private studio in Carmel. There also will be an exhibit by Esther McQueen, a Herron School of Art student. McQueen creates abstract art. “It’s really a launching pad for an emerging artist to have a gallery show,” Keating said. The artists plan to be present for the Meet Me on Main, formerly the Second Saturday Gallery Walks, at 5 to 9 p.m. Feb. 9.